Yes, I am jumping on the broccoli fritter bandwagon! Come along for the ride as I share this recipe for Cheesy Oven Baked Broccoli Fritters. Have you ever had roasted broccoli? 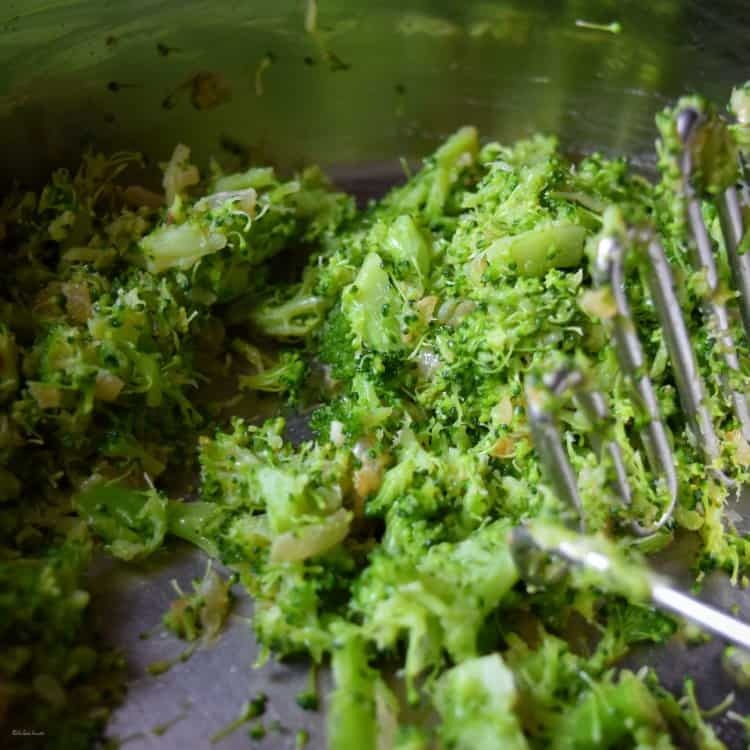 If you have, you know that roasting this cruciferous vegetable will bring out a nutty flavor that is absolutely scrumptious. Yes, just a simple roasting is enough to have all of your family, even the vegetable haters, wanting more. Come to think of it, this recipe for Oven Roasted Garlic Brussel Sprouts also provides an unbelievable taste transformation, also achieved by simply roasting. 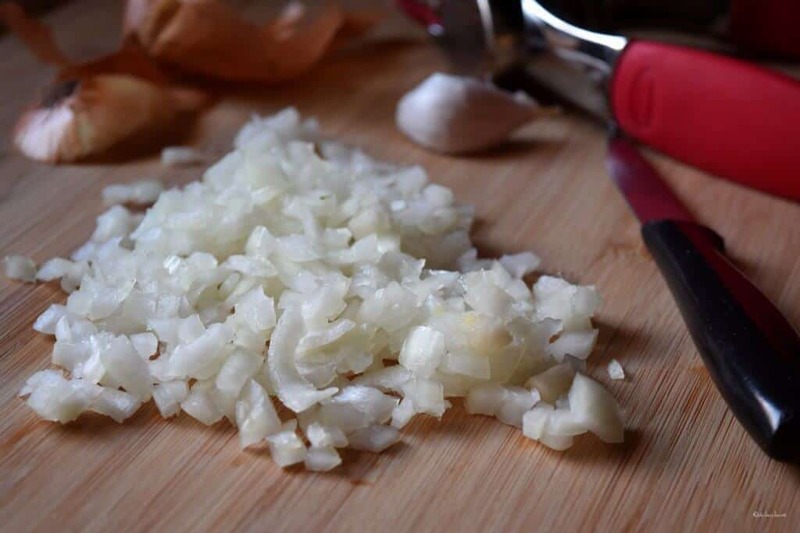 I would also like to inform you that this very humble looking vegetable is a nutritional powerhouse when it comes to nutrients such as Vitamin C, Vitamin K, iron and potassium. Not to mention the fact that a mere 1 cup will provide you with only 30 calories and a healthy 2.3 grams of fiber. Needless to say, you will obtain the most nutrition from your broccoli by quickly steaming it. 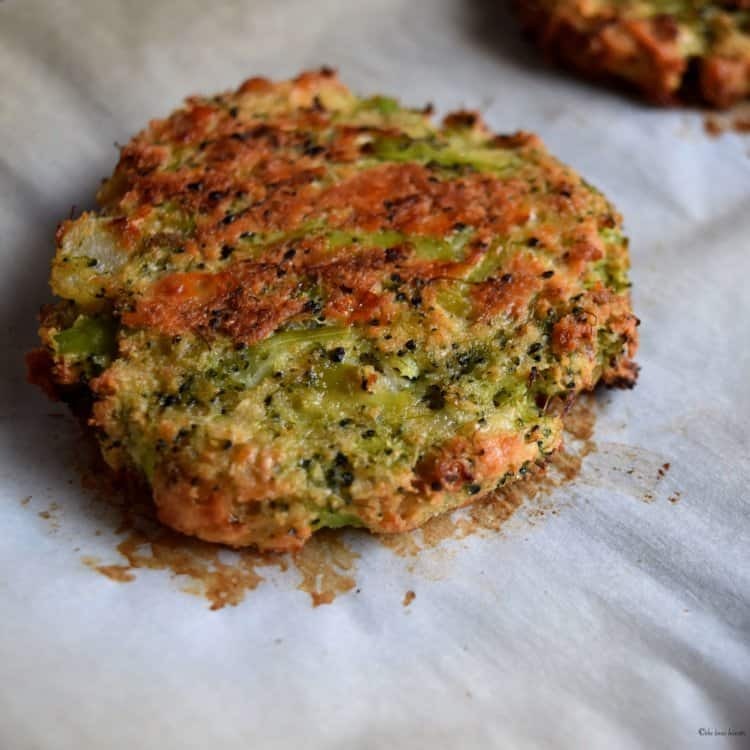 That being said, this recipe for these broccoli patties will provide you with a great alternative for the picky eaters in your family. If you have 45 minutes to spare, I’ll show you how it is done! As you can well imagine, it all starts with some broccoli. 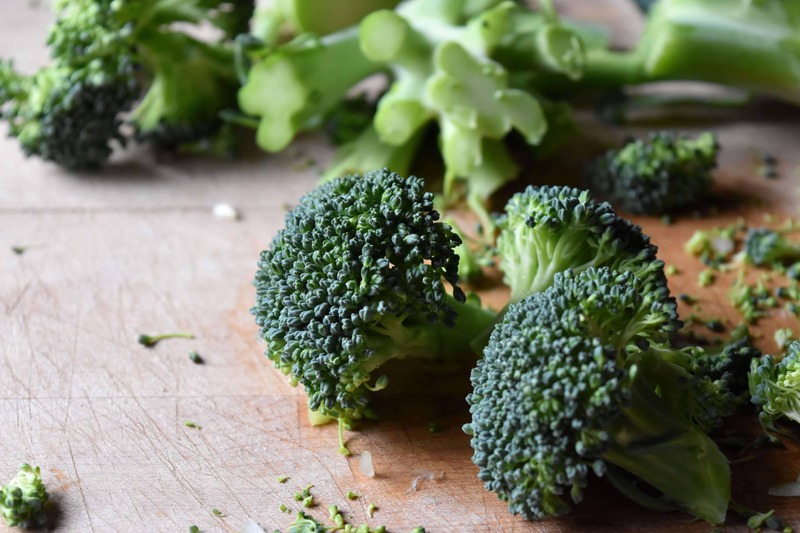 Cut your broccoli into 1-inch florets; be sure to include the stalks, they just need to be peeled and chopped up. You need about 3 cups worth, which is roughly one medium head of fresh broccoli. In a pinch, you could also use frozen. Steam the broccoli for about 4-5 minutes. We are looking for tenderness, not mushiness. Remove the pot from the heat, drain and set aside to cool off. While the broccoli is steaming, chop up the onions and mince the garlic. 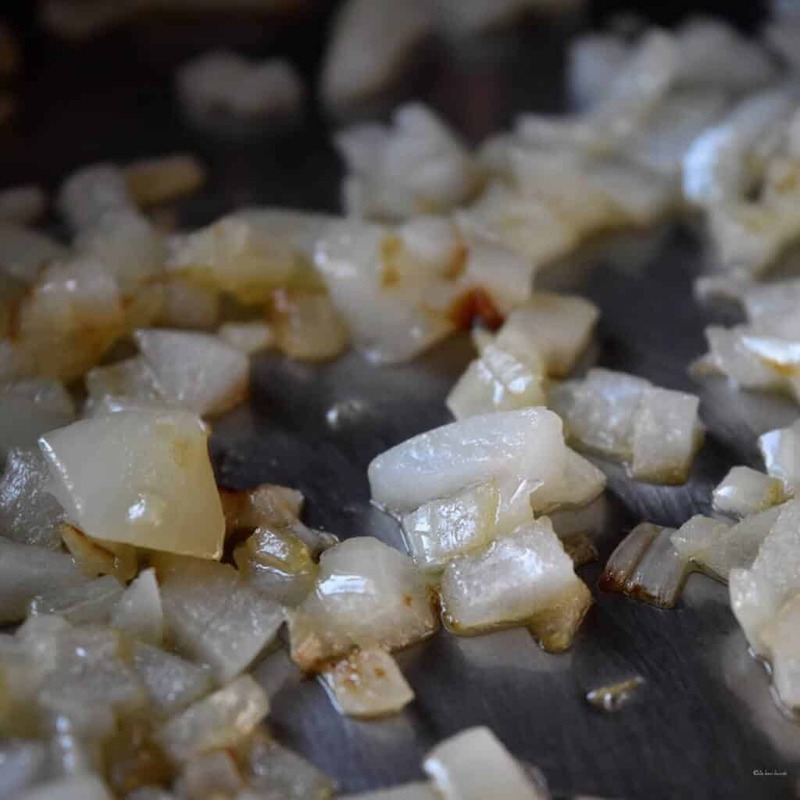 Over medium heat, saute the onions until soft and translucent. Add the minced garlic and saute for another minute or so. Be careful not to burn the garlic, as this will give your final product a bitter aftertaste. Remove from heat and allow to cool off. 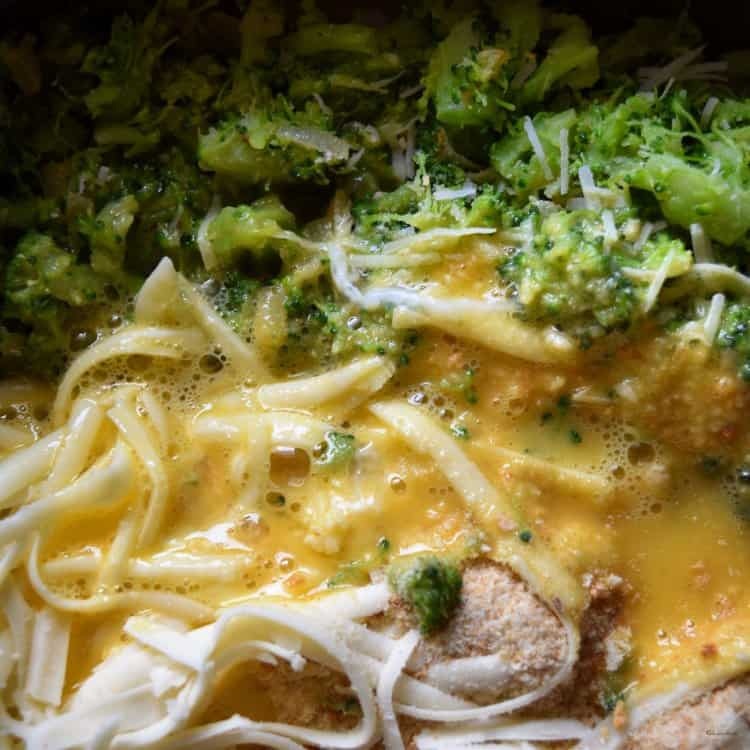 While you wait for the broccoli and the cooked onions to cool off, you can grate the cheeses. 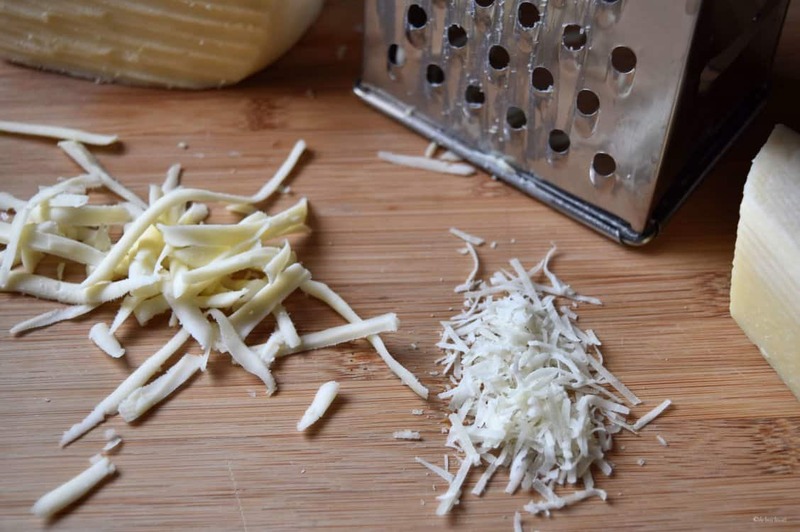 You will notice that I like to use the coarse sides of my box grater for my cheeses. Today, I used a combination of caciocavallo and pecorino romano cheese. Add in the rest of the ingredients and mix everything together. I will use my largest scooper to make 6 individual portions, which are then flattened to a 1/2 inch thickness and are 3-inches in diameter. 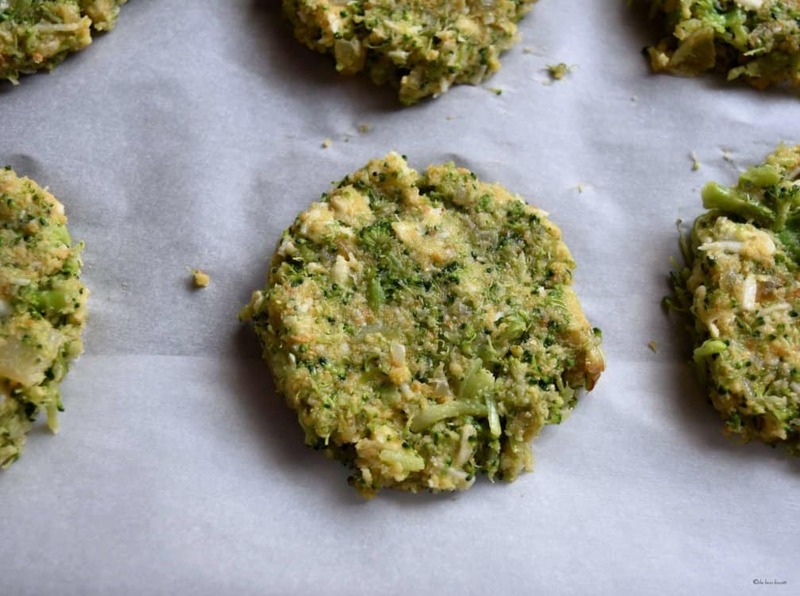 You can make these “broccoli pancakes” smaller or thinner; just make sure you adjust the roasting time. Oven roast for about 12-15 minutes per side or until well colored and crispy looking. Congratulations! 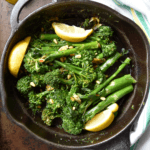 You have just made the perfect broccoli side dish! I love to serve them with a generous squeeze of lemon juice. 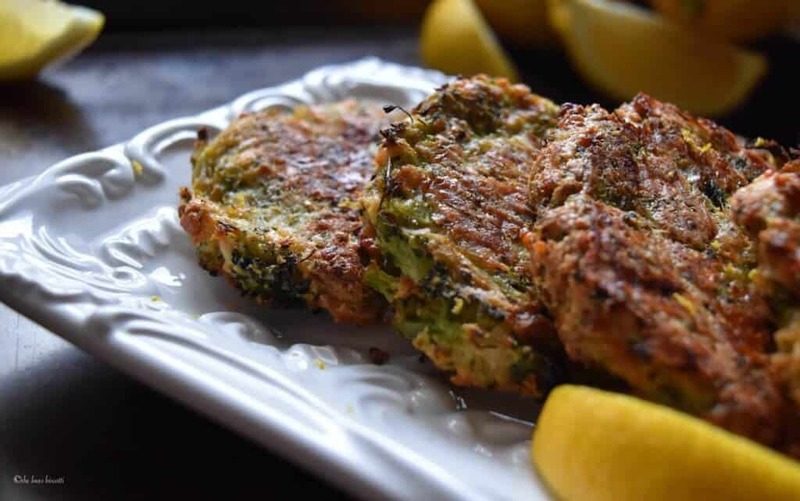 If you have a favorite sauce, that would also work well with these healthy broccoli fritters. A few years ago, I came across this recipe on Deb Perelman’s website Smitten Kitchen. 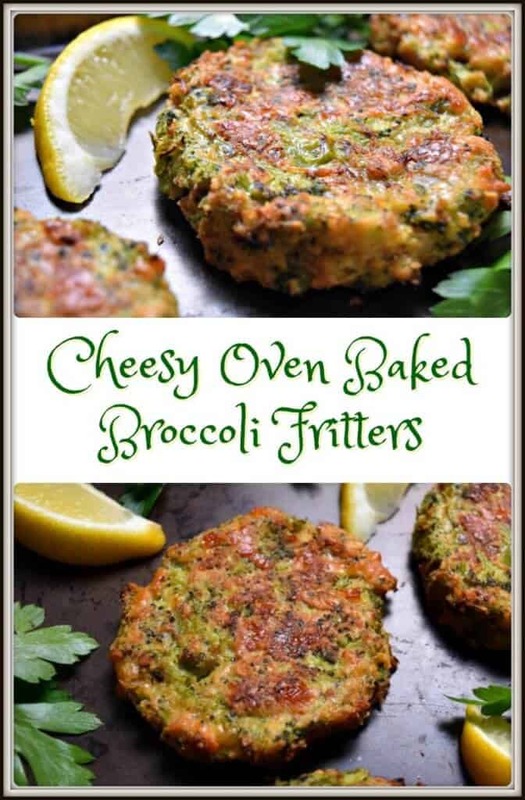 Her recipe inspired me to come up with this recipe for Cheesy Oven Baked Broccoli Fritters. Here are some of the modifications I made: I oven baked instead of frying, I added another type of cheese, substituted breadcrumbs for the flour and increased the amount of eggs in the recipe. 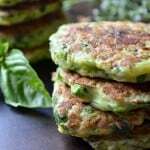 Feel free to adapt this broccoli fritter recipe and to make it your own. Would love to hear about it! I almost forgot to tell you, this recipe also works great with cauliflower, or a mixture of cauliflower and broccoli. These Broccoli Fritters are great as an appetizer, a quick snack, or as a side dish. 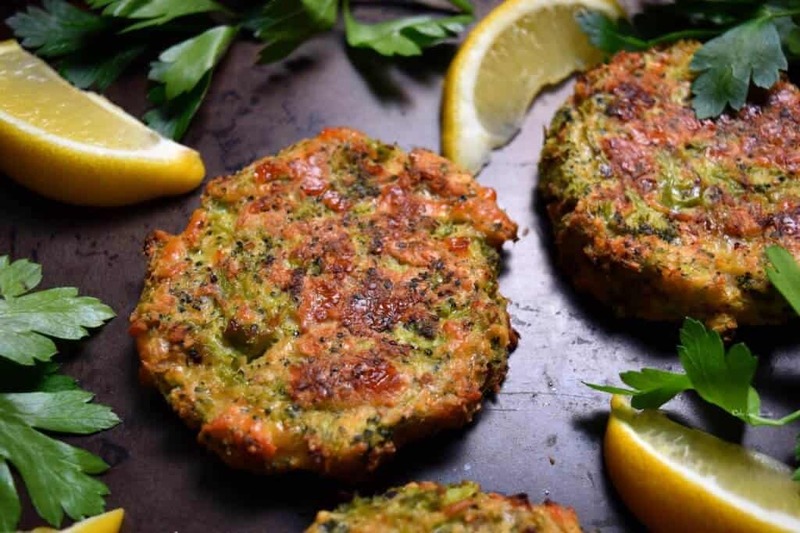 Believe me when I tell you these broccoli fritters will quickly disappear! 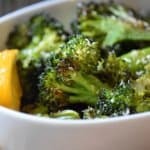 Do you have any other simple broccoli recipes? I would love to hear about them! 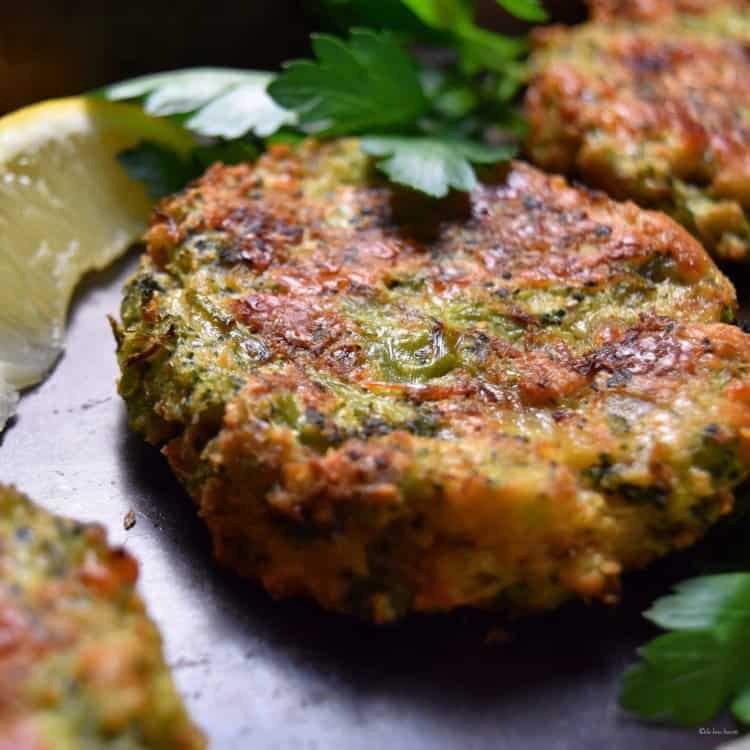 ★★★★★ If you have made this recipe for Broccoli Fritters, I would love to hear about it in the comments below and be sure to rate the recipe! 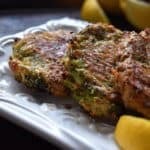 These Cheesy Oven Baked Broccoli Fritters are great as an appetizer, a quick snack, or as a side dish. They will quickly disappear right before your eyes! Heat the oil in a heavy bottomed pan over medium heat. Add the onions and saute until soft and translucent, about 5-7 minutes. Add the minced garlic and saute for another minute or so (be careful not to overcook the garlic). In the same pan (after pan has cooled down) add the steamed broccoli and mash with a potato masher or a fork. Add the breadcrumbs, cheeses, lightly beaten eggs and parsley. Form into 3-inch patties (1/2 inch thick) and place on parchment lined baking sheet. Oven roast for about 15 minutes. Turn the fritters over and roast for another 10 minutes, or until crispy and golden colored. Serve with lemon wedges or your favorite dipping sauce. 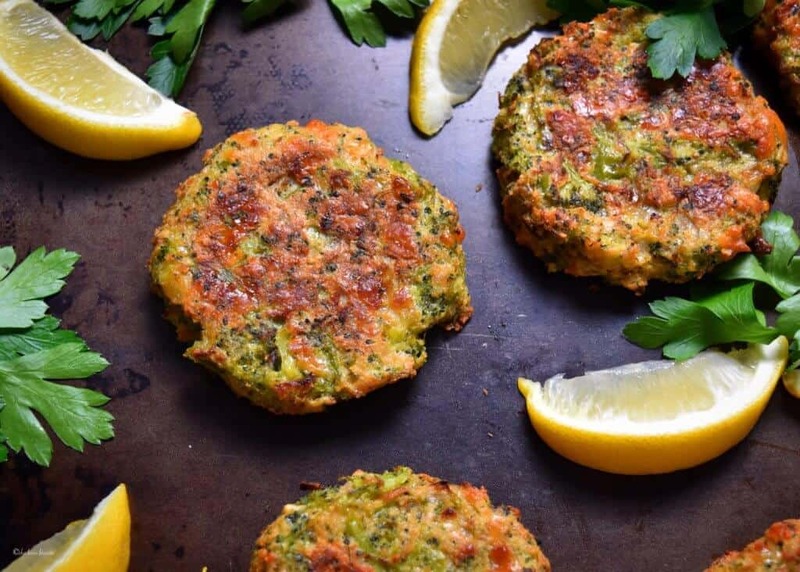 DO YOU LOVE THIS RECIPE FOR BROCCOLI FRITTERS? Do you know if Almond flour can be successfully substituted for the breadcrumbs, and if so, in an equal amount? ~ Grazie mille. To be honest, I’m not sure Peg. I did ask one of my friends who follows a strict GF diet, she recommends Bob’s Red Mill 1 for 1 GF flour. She says it works 99% of the time in recipes. Hope that helps. Would love to hear about the results if you do decide to try it. Great question. Thanks for stopping by. Hi, This recipe sounds awesome, but I have one question, you said the fritters could be frozen. How do you recomend thawing and reheating them? Oven-roasted anything isn’t a hard sell over here. These look fantastic. My daughter loves broccoli straight up, which I find admirable for a two-year-old. I bet she’d adore these, too. I have all these ingredients at home!!! Your fritters sound delicious…I like the way you adapted the recipe to be baked instead of fried. A wonderful recipe including one of my favorite cheeses – caciocavollo! The combination of flavors in these broccoli delights must make for terribly satisfying eating. Serve with a side salad and you have a vegetarian dinner. Your comments always bring a smile to my face; we seem to be on the same page. Thank you Paula.